Rasam also known as Saaru or Chaaru is traditional preparation of South India and involves tamarind juice, tomato, chili pepper and other spices. Take tamarind just as the size of a small ball and smash it in say half a cup of water as squeeze out its juice and throw away the pulp. Now in this tamarind water add garlic and and ginger after crushing them and also add coriander powder, turmeric powder, Asafoetida powder and required salt. In a frying pan put some oil and put mustard seeds and let it burst now also add methi seeds but don keep them long as it will give a bitter taste. so after adding methi seeds (which is optional )put curry leaves and green chilies and sautÃ©. Now add tomato cut in 4 pieces and sautÃ© for 1 minute.Now add the tamarind water that you prepared and add some more water to it as per requirement and let it boil for 2 minutes. 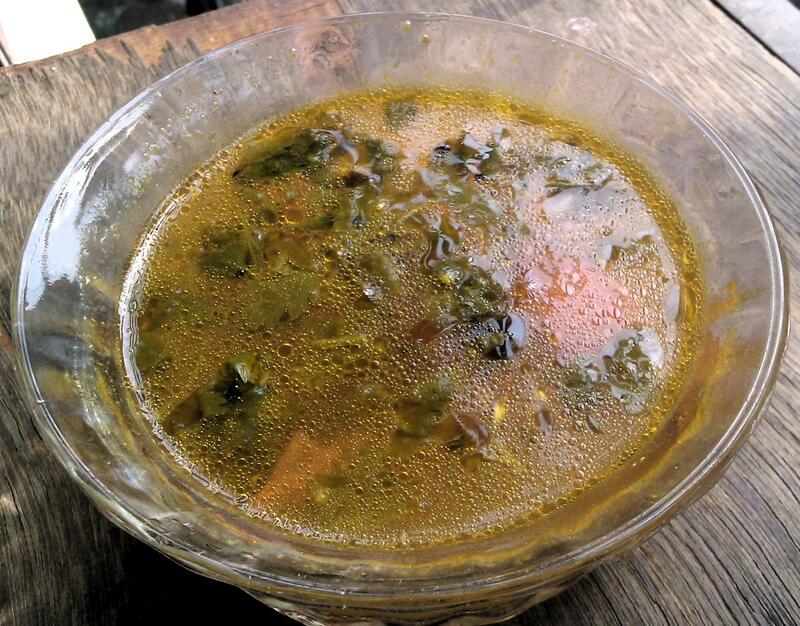 Your rasam is ready and just garnish it with coriander leaves if you want. There is also an alternate method to prepare this which includes just one extra ingredient that is tuvar dal. Some people boil a handful of tuvar dal and smash it well and add it to the tamarind water, even that tastes awesome.